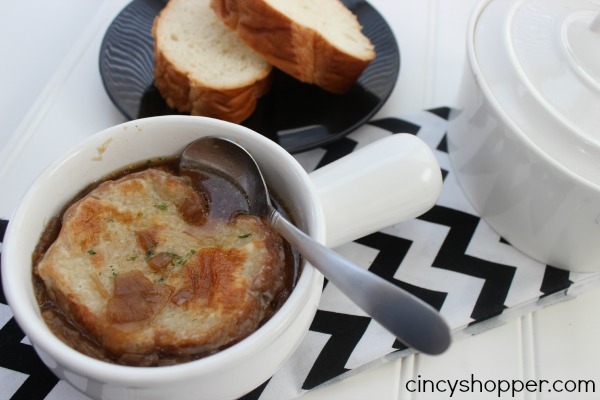 With another cold day here in Cincinnati I decided to toss some in this Slow Cooker French Onion Soup yesterday. 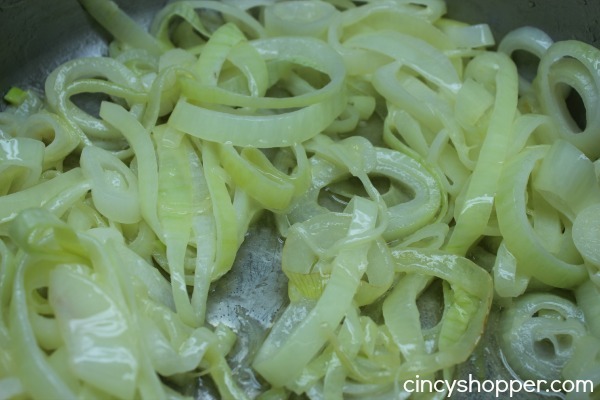 I mentioned my love for onion in my Homemade Onion Rings Recipe I shared with you yesterday. Being an onion lover I have never made French Onion Soup at home. It’s another one of those items that I have only tried while eating out. So this French Onion Soup recipe was a must make at home soup. 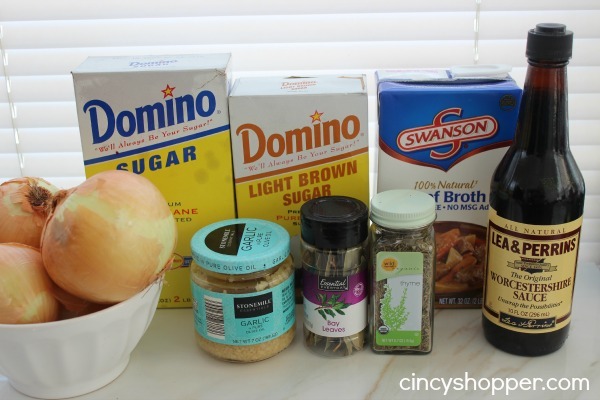 I had picked up a great big bag of sweet onions to make some delicious dishes with and knew that I really wanted to come up with a French Onion Soup Recipe for the Crock pot. Getting the flavors just right for this one was my goal. I was surprised how simple the ingredients actually turned out. The most difficult part is smelling all the yummy onion smell and trying to convince myself to not dip in to the crock until dinner time ha ha! If you are a Remke shopper we have the awesome new addition of French and Italian Loaves in the bakery for just $1 each. 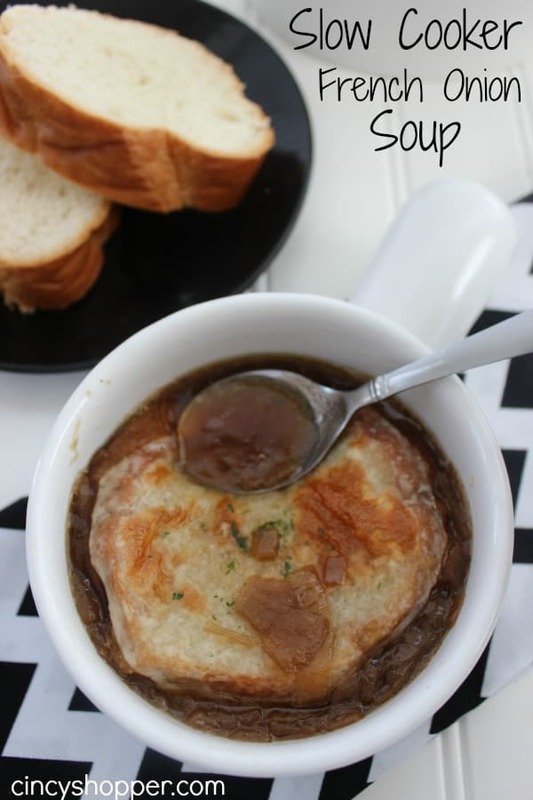 I snagged a couple loaves and they were perfectt for this French Onion Soup. Add onions and sugar to pan and cook until light brown in color. Get a piece of cheesecloth and add thyme and bay leaf and tie up with string to create a bouquet garni. Normally I am not a fan of having to precook items for a crock-pot meal. 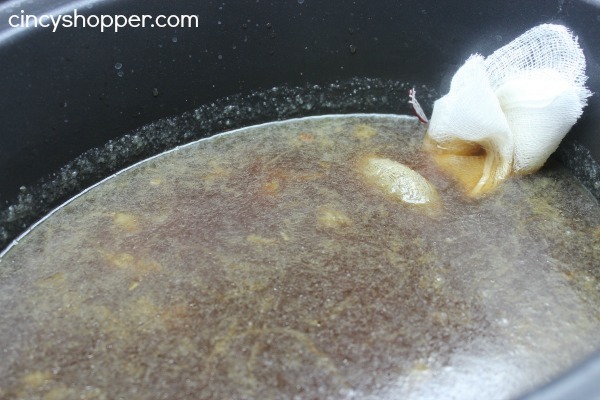 This Slow Cooker French Onion Soup I think NEEDS the onions caramelized before tossing them in the crock-pot. 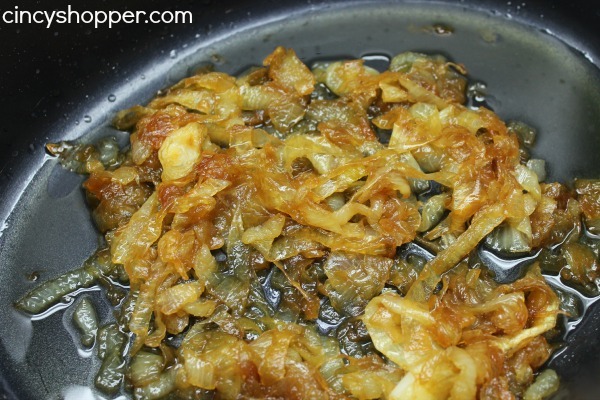 The HUGE flavor comes from the caramelized onions. I was sure to scrape all of the pan clean (that’s where the flavors are hidden). This soup would be great paired with a salad for a meal. The hubby and I had this with extra bread and salad for dinner and it was delicious. If you are looking for other slow cooker recipes be sure to check out my Slow Cooker Stuffed Pepper Soup, Slow Cooker Chicken Tacos, Slow Cooker Creamy Tomato Soup, Slow Cooker Split Pea Soup, Slow Cooker Oatmeal, Slow Cooker Pepper Steak, Slow Cooker Beef Stew, Slow Cooker Chicken Tortilla Soup, Slow Cooker Dr Pepper Pulled Pork, Slow Cooker French Dip, Slow Cooker Breakfast Casserole, the Slow Cooker Bean Soup, Slow Cooker Basic Bread , Slow Cooker Chicken Noodle Soup and the Slow Cooker Cheesy Mexican Dip I shared with all of you. So do you wait until you serve to melt the cheese on top? And what kind do you use? Hi Candice! I need to add the cheese to the recipe (not sure how I left it out). You can use Gruyere Cheese for the top. I used a provolone as that was my hubbies favorite for topping. I just tossed the cheese on and placed them in the oven for just a few minutes for the cheese to melt. I hope that helps. I believe most restaraunts put swiss cheese over the top of the soup but provolone does sound good.